Do you have terra-cotta pots in your garden that you’re ready to recycle for good use? Here are five ideas to turn those boring pots into a unique and fun garden style. 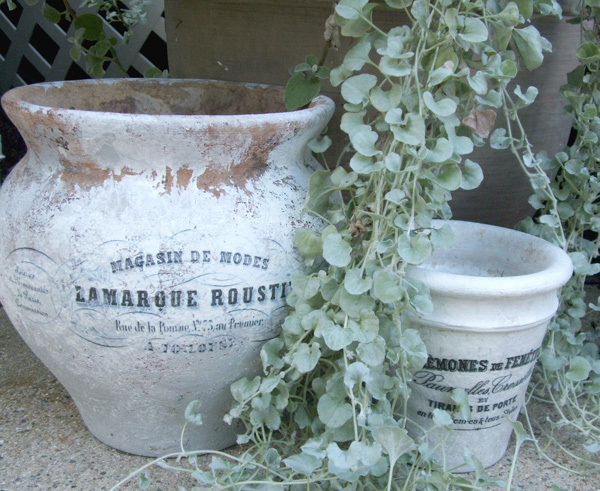 A great idea for redoing your terra-cotta pots is to design them into French-inspired decor. This cute Mod Podged design comes from Laurie at Heaven’s Walk. Use it in your garden for a unique look or in your entryway for a fun vibe as guests enter your home. This reused terra-cotta pot would also make an excellent Mother’s Day gift for a special mom in your life. This DIY design comes from Debbie at her blog Debbiedoo’s. 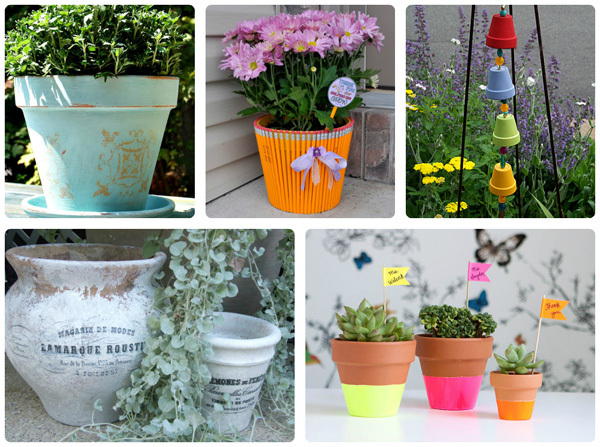 Decorate your terra-cotta pots for a vibrant look in your garden or for a windowsill in your kitchen. Color your pot to match your home and choose a stencil that is unique to you and your personal home decor scheme. This great idea for kids and teacher gifts is from Krystal at Sassy Sanctuary. Use a terra-cotta pot and a package of pencils not only for a gift for your child’s teacher, but as great fall decor as well. 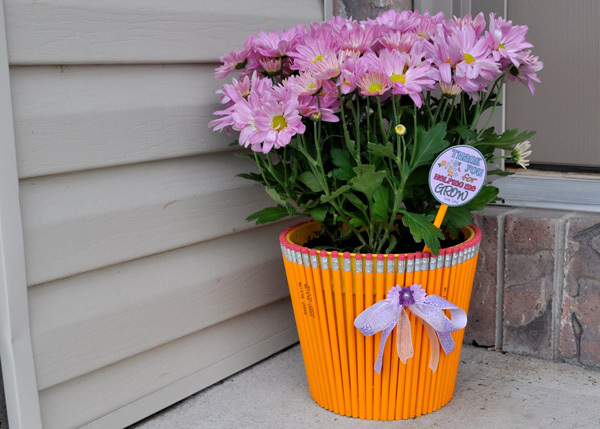 Place it on the porch for back-to-school fun or surprise a child on their first day of school. Have your child take care of the plant and watch it grow through the school year. Get trendy like Caroline from Armelle Blog and dip your terra-cotta pots into neon for another great teacher or child gift. 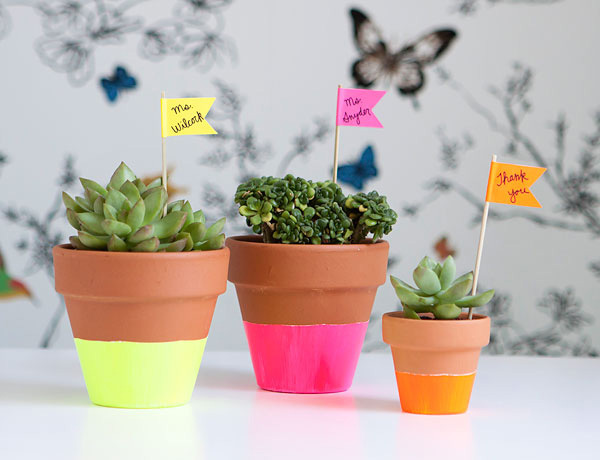 Paint your terra-cotta pots various shades of neon to create a message with a vibrant look. If you’re compelled to keep these adorable pots for yourself, keep them at eye level on your back patio for a fun summer vibe. 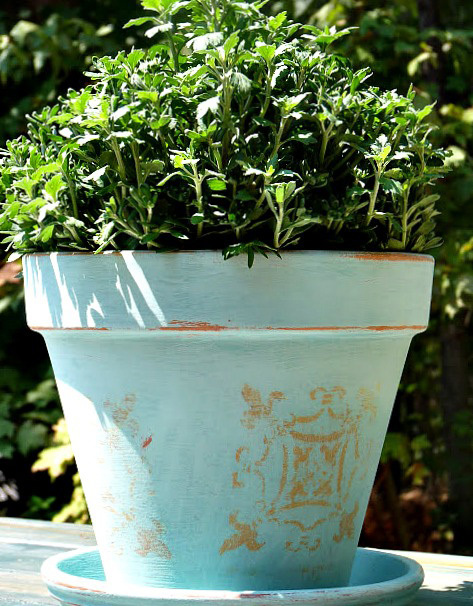 Looking to reuse your terra-cotta pots entirely? Cindy Dyer has turned her pots into a bell tower wind chime. It’s not only a fun look for your backyard, but also a great sound machine as well. 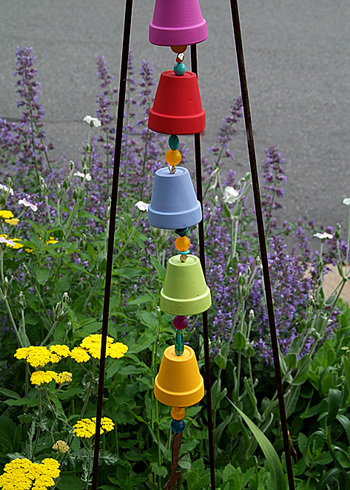 This DIY chime is made with terra-cotta pots, beads and various sized wire. As Cindy mentions on her blog, hang your bell tower chime from a tree, trellis or shepherd’s hook.